Sabki favourite actress Kajol never fails to elate her fans and always keeps them updated about her whereabouts, by posting stunning pictures on social media. Today, Kajol posted a gorgeous picture of herself, in which she looks no less than a dream. "I had too much to dream last night," Kajol captioned the picture. Kajol's photo is so beautiful that netizens could not but notice it even on a busy weekday. In less than 30 minutes, Kajol's photo has received over 21 thousand 'likes' and her fans have filled up the comment section with lovely compliments for her. Highlighting Kajol's caption one user wrote: "You are also like a dream" (we don't disagree) while other users wrote that they want to see her in some movie soon. Here's Kajol's photo we're talking about. 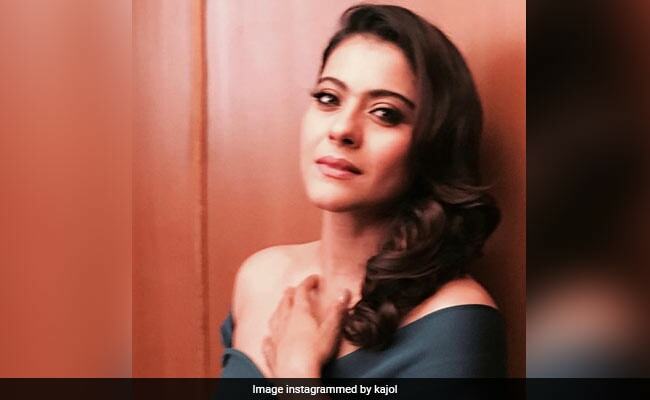 Kajol loves to post her pictures on social media and the Internet loves her back. It was only a few days ago, when she posted her picture in a 'sun kissed mood.' Kajol's photo is so bright that it will definitely enlighten your mood. And, here comes another one, in which she's all set for a party with 'ruffles and bow.' Isn't she looking wow? Ruffles and bow ready ! Kajol also never fails to please her fans with her extra cute bonding with husband Ajay Devgn - proof are her Instagram posts, which often feature Ajay. Sometimes giving couple goals and sometimes posing for a perfect selfie together. The couple are completely adorable and we also love Kajol's humour. Seen this photo of Kajol asking Ajay for a selfie. Yes, again? Me: Let's take a selfie na... Ajay: again ??? Kajol loves to take selfies and the camera loves her back. Here's her Christmas one. Thank you Kajol for such delightful pictures. They literally made our day. Kajol married actor Ajay Devgn, her co-star from films like Ishq and Pyar To Hona Hi Tha in 1999. The couple are parents to seven-year-old son Yug and 14-year-old daughter Nysa. Kajol, star of films such as Dilwale Dulhania Le Jayenge and Kabhi Khushi Kabhie Gham... recently featured in Tamil release VIP 2, co-starring Dhanush. She will also make a special appreance in Aanand L Rai's Zero, co-starring Shah Rukh Khan, Katrina Kaif and Anushka Sharma while Ajay Devgn, who was last seen in Rohit Shetty's comedy drama Golmaal Again, which crossed 200 crore at the box office, is currently filming Total Dhamaal with Madhuri Dixit, Aamir Khan and Anil Kapoor.